Venezuela crisis: Six European countries recognise Venezuela’s opposition leader as interim president as Russia slams ‘interference. Venezuela has plunged into a major political crisis amid a growing row over President Nicolas Maduro’s future as the country’s leader. Maduro started a second term on January 10 following a widely-boycotted election last year that many foreign governments refused to recognise. On January 23, Juan Guaido , the leader of the opposition-controlled National Assembly, declared himself interim president. Shortly after Guaido took an oath swearing himself in before his supporters, US President Donald Trump publicly recognised him as the country’s leader. In response, Maduro broke off diplomatic ties with the United States and gave the American diplomats in the country 72 hours to leave. 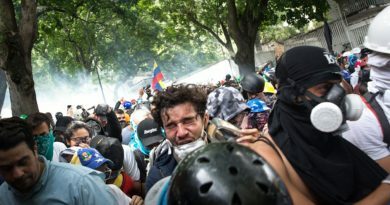 UN Secretary-General Antonio Guterres says he has been in contact with supporters of the rival initiatives to deal with the Venezuela crisis and has decided the United Nations won’t be part of any of them. He told reporters on Monday that he took the decision “in order to give credibility to our continued offer of good offices to the parties to be able at their request to help find a political solution”. Guterres said he has been following the evolution of the situation in Venezuela with “a lot of concern”. The presidents of Mexico and Uruguay have offered to negotiate between socialist President Nicolas Maduro and opposition leader Juan Guaido. But Guaido rejected the offer. A coalition of Western Hemisphere nations is urging Venezuela’s military to allow badly needed food and medicine to enter the country as the bloc pushes for a peaceful transition of power in the South American nation. The call came Monday from the Lima Group, which is made up of nearly a dozen conservative Latin American nations and Canada. It has led the push to recognize opposition leader Juan Guaido as Venezuela’s rightful leader and seeks ways to remove President Nicolas Maduro. The coalition met on Monday in Ottawa and issued a declaration saying Venezuela’s soldiers must show loyalty to Guaido. 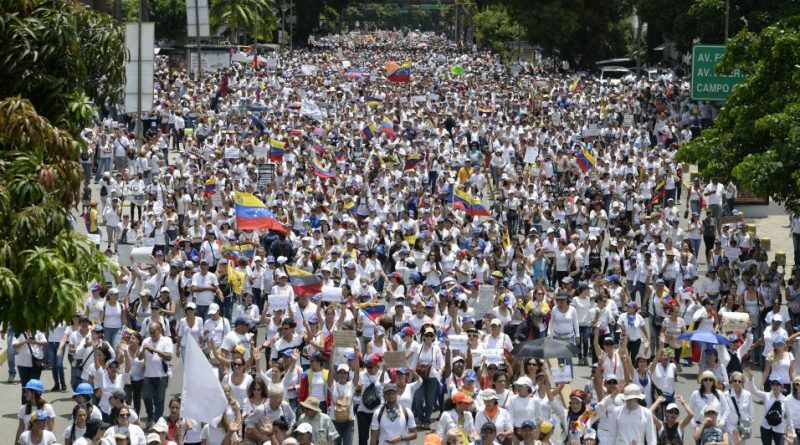 The group also said the United Nations and the international community should be ready to step in with humanitarian assistance for Venezuela. Guaido says the opposition will hold an international conference to seek emergency humanitarian assistance at the headquarters of the Organization of American States in Washington, DC. Carlos Vecchio was recently designated as ambassador to Washington by Guaido. President Nicolas Maduro is again rejecting moves by at least eight European nations recognising opposition leader Juan Guaido as Venezuela’s legitimate president. Germany, Britain and France are among the nations that announced support for Guaido on Monday. The EU nations say Maduro’s election was fraudulent and that he ignored their deadline to announce a new round of democratic presidential elections. Maduro was especially harsh on Spanish Prime Minister Pedro Sanchez, a fellow socialist. Maduro said Sanchez would have “blood on his hands” if a coup is carried out against him. Maduro also rejected a US-backed effort to send emergency food and medicine into his country, saying Venezuela isn’t a nation of beggars. Venezuelan opposition leader Juan Guaido said on Monday the government of President Nicolas Maduro was trying to move up to $1.2bn from state development bank Bandes to a financial entity in Uruguay, though he did not present evidence. Venezuela’s Information Ministry did not immediately respond to a request to comment. European Parliament President Antonio Tajani is pressing Italy’s populist government to side with other EU countries on Venezuela. He told reporters Monday in Rome that Italy’s coalition government should heed the words of Italian President Sergio Mattarella, who earlier in the day urged Italy to adopt a shared position with EU partners and allies. At least 12 EU countries have recognised Venezuelan opposition leader Juan Guaido as interim president, rejected the legitimacy of socialist President Nicolas Maduro. Italy’s squabbling government coalition hasn’t joined them, instead calling for reconciliation and new and free elections in Venezuela. Tajani slammed the Italian government position as “very grave” and urged it to follow Mattarella’s “very clear’ message for EU unity on Venezuela’s political crisis. Canadian Prime Minister Justin Trudeau says Canada will give $53m in humanitarian aid for Venezuelans who he says are living under a “dictatorship willing to use force and fear” to maintain its power. He says the money will go to “trusted partners in neighboring countries to help them support Venezuela and Venezuelans”. The announcement came during a meeting in Ottawa of the Lima Group that includes countries from the Americas that oppose socialist President Nicolas Maduro and recognise opposition leader Juan Guaido as the country’s legitimate interim leader. Italy on Monday blocked a European Union statement saying that the bloc’s member states would recognise Venezuela’s National Assembly head Juan Guaido as interim president, diplomatic sources told Reuters news agency. That came after days of sparring between the 28 EU states on how to address the situation in Venezuela. Eight EU countries on Monday recognised Guaido, but Italy’s opposition has prevented a unified EU stance. Britain is looking at options including sanctions to bring about peace and democracy in Venezuela, Prime Minister Theresa May’s spokesman said on Monday. 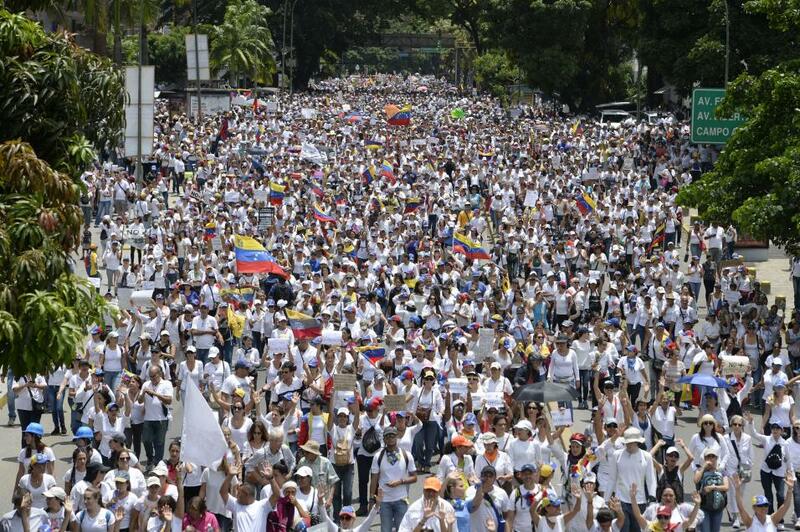 “Venezuelan people deserve a better future, they have suffered enough and the Maduro regime must end. It is time for free and fair elections,” the spokesman told reporters. Russia has critcised what it said were attempts to interfere in Venezuela’s domestic affairs after major European countries recognised Juan Guaido as the South American country’s interim leader. “Attempts to legitimise usurped power” constituted “interference in Venezuela’s internal affairs,” President Vladimir Putin’s spokesman Dmitry Peskov told reporters on Monday. Such interference, he added, could not facilitate the “peaceful, effective and lasting settlement of the crisis the Venezuelans are going through”. Peskov reiterated Moscow’s position that only the people of Venezuela could solve the crisis “which they should get through on their own”. France, Germany, Austria, Sweden and Denmark have joined Britain and Spain in recognising Venezuela’s opposition leader Juan Guaido as interim president of the South American country. 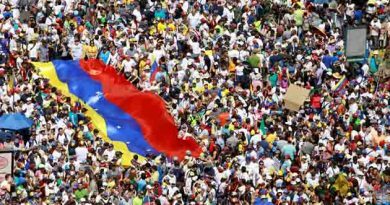 The coordinated move from the major European nations came after the expiry of an eight-day deadline they set last weekend for President Nicolas Maduro to call a new presidential vote. In a Twitter post on Monday, French President Emmanuel Macron said his country recognises Guaido as an “acting president to implement an electoral process”. ← Indonesia will play an effective role under the regional and multilateral framework in resolving the Rohingya crisis , says Indonesian Foreign Minister Retno Marsudi. Venezuelan security forces carry out hundreds of arbitrary killings under the guise of fighting crime :says the UN’s human rights body . 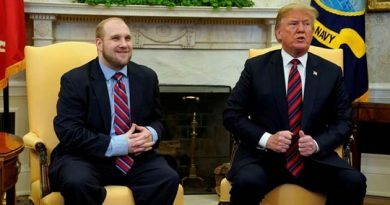 US prisoner freed from Venezuela prison, President Trump welcomes Josh H.